Plus, as I discuss elsewhere on my site, an erection is a surprisingly complex physical process that involves the nervous, neurotransmitter, endocrine (hormonal), circulatory and muscular systems. Most middle-aged and senior males usually have more than one problem occurring simultaneously and so just throwing a medication after the problem only helps so much (and does not deal with the root of the problem). The bottom line is that you need to find a good doctor, of course, and perhaps try a few things yourself. Below are some tests that you can do yourself to try to learn more about any loss of erectile strength. CAUTION: Even though it is uncomfortable, you should always go to your doctor with erectile dysfunction, since it is a medical condition and can be a sign of heart disease or other significant issues. Testosterone Testing. If you do not know your testosterone, it cannot hurt to get your testosterone tested. The reason is that if your testosterone levels are low enough, your erectile strength will falter. Even if your testosterone turns out not to be low, you have established a baseline for the future. Also, get restested as soon as you can afford it thereafter. Testosterone readings fluctuate with lifestyle factors and I have heard of quite a few case of getting a "bad read" from the labs. Blood Pressure. Get yourself a cheap blood pressure monitor. Do not buy one of the wrist band types, as these are unreliable from what I have heard. Get one with a cuff that your pharmacist or doctor recommends. I use an Omron Machine and have had great luck with it. If you reading is over 120/80 for several days, this is also a sign of cardiovascular/endothelial damage and/or arteriosclerosis. Don t let anyone tell you that blood pressure of 130/87 or anything similar is okay. This is called prehypertension and has been linked in several studies to significant health issues as well. Work on getting that down naturally asap through my links on Hypertension and Erectile Dysfunction and How I Lowered My Blood Pressure Naturally. Note that stress can also raise blood pressure. So why is monitoring your blood pressure important? Because, in general, lower blood pressure means increased nitric oxide and blood flow, which is good for erections. Exercise Test. Try several days of 1.5-2 hours of exercise - don't overdo it or overtrain - to see if this helps. Walking is fine. Again, do NOT overtrain. If you can, break it up into two or three sessions throughout the day. Exercise lowers inflammation, boosts dopamine/mood and increases nitric oxide. Many men experience dramatic results, such as suddenly-occurring morning erections, with extended periods of exercise. We were not born to site 14 hours per day. We were born to move and be active. Your body will respond, sometime with very impressive results. Diet Test. Try foods that promote nitric oxide. You can do your own research or look at my book, The Peak Erectile Strength Diet, for a summary. There are also many plant-based foods that will boost blood flow and help erections. This is an excellent test to see if diet is part of the issue. As you switch from The Potential Dangers from Saturated Fat, which is known to slow blood flow (unless you exercise immediately thereafter), to more plant-based, nitric oxide-promoting foods, most middle-aged men will notice a substantial improvement. Of course, this indicates that nitric oxide and diet are part of the issue for you. NOTE: You must try this for at least several weeks to give it a true test, however. Sleep. Experiment by getting 8+ hours of sleep several nights in a row. Again, many men find morning erections returning after getting rid of a sleep deficit. You can t just do this for one night. I have many links on sleep. Start with my link on Sleep and Erections to find out the nasty effects or poor quality or low quanity of sleep. Stress. Of course, an endocrinologist can directly measure and interpret your cortisol readings for you. However, there are other indirect ways to test a possible. How can you do this? Try a few of the stress-attacking supplements to see if they help. Some men experience dramatic results from these supplements, such as Vitamin C and phosphatidylserine. See my link on Stress-Busting Supplements for more information. Specialist Testing. I always recommend seeing an endocrinologist and urologist if one can afford it. These are ideal specialists as they both have different areas of expertise and can provide valuable insights. For example, urologists are very good with prostate, varicocele, venous leakage and penile-related issues. 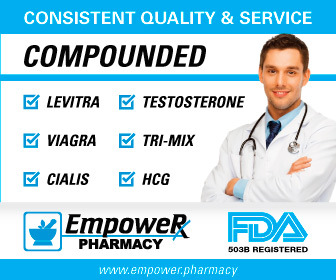 Many have considerable experience with testosterone therapy as well. Endocrinologists specialize not only with testosterone, but should be extremely knowledgeable about prolactin, estrogen, DHEA and other hormones that can cause problems. And, based on the letters that I receive, men are usually most dissatisfied with the treatment received from their PCP (Primary Care Physician) and most with treatment from their urologists or endocrinologists, although that is certainly not always the case. This is why you must be patient. All of this will take some time. Work with your doctors and test things out for yourself. Find out what works for you and what is the underlying cause.